A technical advisor is an expert in their profession, with knowledge, qualifications and expertise that has been gained over many years. The person must be ‘at the top of their game’ and their level of qualification means that they also partake in ‘training the trainer’s’ and continual personal and professional development. Their role encompasses many facets, but at Lost Earth Adventures first and foremost our aim is to be a leader in safety, by setting high professional standards for our guides and the activities and expeditions that we run. Our expeditions and activities take people into challenging environments from complex underground caving systems across the UK to remote and high altitude mountain passes in the Himalaya. The nature of our business relies on us having robust safety management procedures. To operate at the highest level of competency and to comply with British Standard BS8848, we believe that external assessment is better than self-certifying. That is where the roles of our Technical Advisors really come into play. Read the bios below about who we have chosen to be our Technical Advisors and why. Nigel has been actively involved with the British Caving Association (BCA) since the early 1980s, his first role was a member on the Training Committee, followed by spending six years as the Chair of the Cave Instructor Panel, during which time he coordinated and developed the Cave Instructor Certificate (CIC) syllabus – the highest caving qualification available. Nigel’s current position within the BCA is National Training Officer. In this role he is responsible for overseeing the day-to-day running of the Local Cave and Mine Leader Award (LCMLA) and the CIC training schemes. When Nigel is not acting in a professional capacity, his passion still lies within underground exploration. He has caved extensively across the UK, French and Pyrenese mountain ranges, Spain and the USA. He is also involved in expeditions as a “digger” (discovering new cave systems and passages) and is a renowned cave photographer. Nigel acts as our technical advisor and is an undisputed asset to the Lost Earth Adventures team. His knowledge and expertise is second to none. There is no one better suited to oversee our staff training and operational procedures. 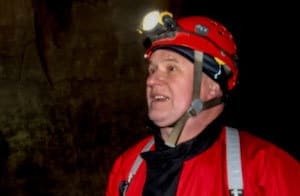 If you’re lucky you may also find him as your guide on one of our caving experiences too. Steve Long is one of the UK’s most qualified and experienced outdoor professionals and is at the forefront of mountain training in the UK and worldwide. He has been instructing and guiding professionally for over 30 years and his depth of knowledge is second to none. Steve holds the highest Mountain Guiding qualification worldwide, the IFMGA/UIAGM Mountain Guide Carnet, and also the Mountaineering Instructor’s Certificate (MIC), which is the highest British qualification. In addition to these esteemed accreditations, Steve is a Chairman of the UIAA’s international Training Panel and Technical Officer for Mountain Training UK, which is the governing body for mountain leadership in the UK. He is a member of both the British Mountain Guides and Association of Mountaineering Instructors training panels. He has also authored the official handbook for the Mountain Leader qualification, advisor for the UIAA’s Alpine handbook, and is technical editor of the Professional Mountaineer magazine. Steve has worked in partnership with the National Nepal Mountain Guide Association (NNMGA) to help them develop a Mountain Leader qualification scheme. He is currently assisting them with developing further modules. Steve has been instrumental in the development, training and certification to a new wave of professional Nepali guides, recently raising standards to an internationally recognised level. He has also led mountaineering leadership training projects in Ladakh and Jordan.  Previously he has worked as an inspector for the Adventurous Activities Licensing Authority (AALA), which is the governing licensing authority for outdoor activity providers, ensuring that companies such as us maintain the highest safety standards possible. In his personal life he is an accomplished climber with many notable ascents, including El Capitan in Yosemite and CerroTorre in Patagonia. With Steve’s wealth of experience, vast knowledge and passion for developing the standards of trekking and mountaineering instructors in the UK and Nepal, there is no one better suited to hold the position as Technical Advisor to Lost Earth Adventures. Dawa was born and has continued to work in and around the Everest region. He, like many other porters and guides, is from a rural farming background, and began working as a porter at the age of 12. After 6 years of carrying loads of between 40-50kgs, he began pursuing professional qualifications in mountaineering, and is now one of the highest qualified guides in the region. 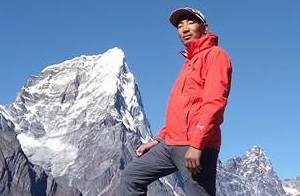 In 2009, he began the process of becoming formally qualified by the Nepal Mountaineering Association (NMA) and has completed a number of courses, including: NATHM Trekking Guide Training; NMA’s Advanced Mountaineering Training; Advanced Wilderness First Aid; and English Language. As well as his professional qualifications, he has guided many high altitude ascents, notably summiting Mt. Everest in 2013. He is now using his skills to teach the next generation of guides, and is a trainer of leaders for the NMA’s Mountaineering Courses and the NMLA’s Nepal Mountain Leader courses. It is no surprise that his high levels of professionalism and standards of safety have been recognised by some of the most influential people in UK mountaineering, notably Steve Long and Terry Halliwell, former chairman of the UK Association of Mountain Instructors. 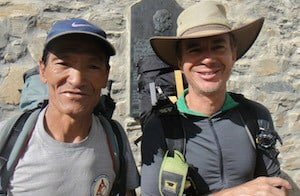 Dawa runs training for all the Lost Earth Adventures’ Nepali trekking guides, and we couldn’t think of a better person for the job.